Perhaps one of the most written about and documented Award Winning Homes in LA's recent history. Named appropriately the Coconut House for its dark outer shell was designed by the celebrated architectural team of Lee + Mundwiler. 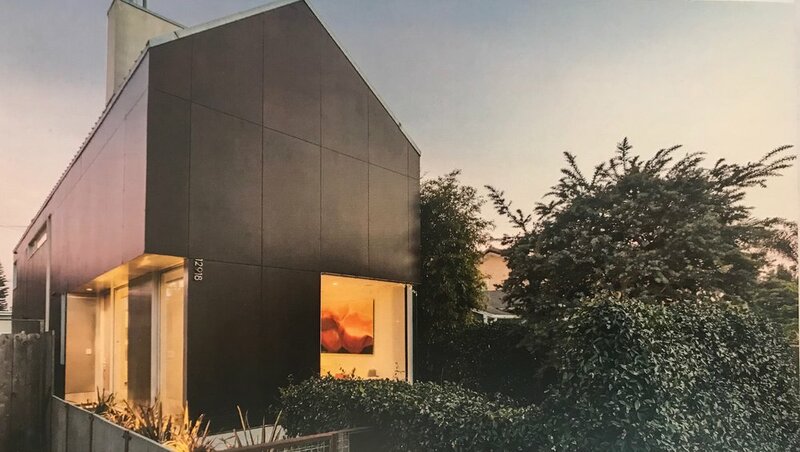 This ecologically minded home's exterior was designed to be maintenance free for years to come thus eliminating usage of chemicals for the care of the home. Innovative use of airplane wing-like louvers allows the residents to play with light and shadows as well as the ocean breezes flowing throughout the day.